Rumor has it that Samsung and Huawei are developing their own smartphone operating systems to compete with Android. It's an interesting idea, but one I believe is highly unlikely. Why? Allow me to explain. Net Market Share recorded in June 2016 that Android accounted for over two thirds (65.58 percent) of the "Mobile / Tablet Operating System Market Share". Gartner reported that in the first quarter of 2016, Android accounted for 84 percent of "Worldwide Smartphone Sales to End Users by operating system." Statista claims that "Android accounted for around 85 percent of all smartphone sales to end users worldwide in the beginning of 2016." The remaining percentages are accounted for mainly by iOS, Windows Phone, BlackBerry, while other operating systems play only very minor roles. In short, Android is the most widely used mobile operating in the world, and by a substantial margin. So, if Samsung or Huawei were to invent their own operating systems, they could potentially steal a slice of that big Android pie, but how much would be theoretically possible? Diving a little deeper into those figures shows that it's actually Samsung and Huawei who have the greatest potential. The same Gartner survey above shows that Samsung sold 23.2 percent of all smartphones in Q1 2016. Statista suggests that this figure could be as high as 24.5 percent. Huawei is found to have sold around 8.2 to 8.3 percent, depending on the survey. Despite their popularity, would Samsung or Huawei dare to turn their backs on Android? Samsung is represented in most markets around the world but it still makes use of Google services like Maps, Search, and especially the Play Store. Samsung customers have become accustomed to these Google products and rely on being able to use them with a Galaxy device. The number of Play Store apps is a major argument for why the Korean manufacturer should remain faithful to Android, with between two and 2.25 million to be found there as of July 2016. This is something Samsung would find incredibly hard to compete with. Huawei's outlook is quite different. In China, Huawei has already opened up its own App Store. This is editorially maintained and, similar to the App Store from Apple, subject to strict quality controls. In an interview with the Huawei vice president of Mobile Business Changzhu Li, we learned that Huawei sees Android's biggest weakness to lie in its apps and not in the operating system itself. Thus, it would be more likely that we will see the Huawei App Store in the West before we see a Huawei smartphone with an operating system other than Android. Why Huawei recently hired an OS expert, who had previously worked for Nokia, has no doubt played a part in the current rumors. Oft-mentioned concerns, like Google wanting to make the Android ecosystem less open, further compound this. But, ultimately, operating system experts are likely to improve Huawei's Android-based EMUI software first and foremost. It's generally agreed that there is plenty work to be done here, despite my own counter-arguments. There are areas where Android is currently in use but for which it is not optimally suited. These include smart TVs and wearables. Android TV is failing because of the poor implementation of Play Store apps which don't scale well for TV. Android Wear fails because it's almost identical to the smartphone Android software, which is cumbersome for smartwatches and unnecessarily demanding in terms of resources and energy. In the field of wearables and home entertainment, Samsung can now score points. Samsung has already developed a mature and slim operating system for smartwatches with Tizen, which in many ways outshines the Google alternative. But a switch to Tizen on Samsung smartphones could still prove an unnecessary risk. Smartwatches are currently a relatively niche product; Android is anything but that. The Android system gives manufacturers just enough room to make their own adjustments and improvements. Thus, Huawei, Samsung, HTC, Sony and all others can differentiate themselves and create their own selling points. At the same time, they continuously help to improve the core Android software and build a stronger system than Google alone could ever do. For manufacturers, Android is a compromise, but an effective one, offering diversity, freedom and compatibility. Samsung and Huawei may be mighty, but I doubt they're ready to stand on their own two feet; especially not in the interests of their consumers. Your last paragraph you state "For manufacturers, Android is a compromise..." Maybe you said that because that sort of statement seems fitting in the type of article you wrote or maybe you believe that. Personally I'm not certain how using the best OS in the world is any type of compromise. Also I don't believe that any of their reasons that you stated were very valid. 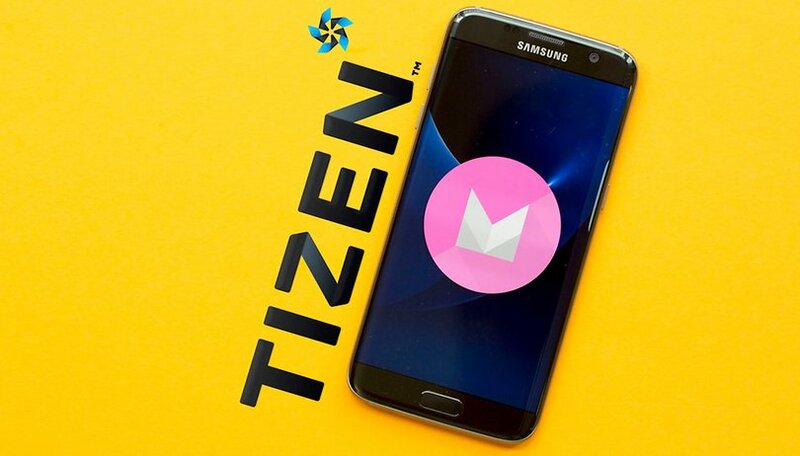 Tizen has come in all of the major products of Samsung. You're late with your predictions. My first Samsung product was an Galaxy S4. Ive had the S5, S6 Edge and S7 Edge. None of them have had Tizen, all Android. So maybe you're posting from the future but in July 0f 2016 in the U.S. with T-mobile(its what I know) his prediction has not come to pass yet. Samsung shouldn't try any nonsense, or I get a full money back for my Note 4. Another, third option that I see for Android to stay free and continue to exist would be to hide itself. Let me explain. What Google (Alphabet) is very good at is to provide smart, excellent APIs. They might be at the heart of any mobile or immobile OS, as for the IoT. In essence, new blends of OSs can be created freely by manufacturers, but still using Android/Google APIs for all the hard work. This might come in hand for freeing the manufacturers from the costs of developing their own OSs entirely, might be great for compatibility with whatever app developers want to create across an OS-multiverse, and might free Android from the impasse of choosing by which dead it wants to die. I'm not sure what you're implying but Android isn't going anywhere and it will continue to be free. Speaking of surviving and all that is crazy. It's the most robust dominant mobile platform on the planet. They should use Sailfish OS, Meego was pretty decent and successful even when looking at the ban of sales in mayor markets in Europe and in the US. They UI concept is much better than android. I think it would be better working on one Linux based OS than splitting it in two. Also they Jolla guys from Nokia have more experience than Samsung. That's a matter of opinion. I haven't personally used sailfish but I don't like its major selling points. Plus I don't think it will ever get a strong foothold based on reports I've read. C'mon Samsung, c'mon Huawei - Innovation - this should be what you strive for ! I think creating your OS does show the ability to innovate. Ain't that the truth. I think part of the problem is that the hardware is more than staying ahead of the demands of the software and so its kind of carte blanc for developers. They're thinking, "Look at all the speed and memory. Its more than anyone could have imagined. What can we cram in here?" The problem with that mentality should be fairly obvious but with everyone going hog wild with EVERYTHING, next thing you know resources are depleted. I am using Galaxy J7, Can i update my phone to Android N.
Not yet time. Keep your fingers crossed. Remember, Nexus smartphone will go first! The problem is, the only thing that Samsung phones ever get slated for in reviews is their own software additions on top of Android! The closer they get to stock Android, the better the reviews get! I think they would be dumb to ditch Android, Windows Phone has great features but is slowly dying off due to a lack of key apps, Blackberry are dead in the water almost, there is probably not room for another OS! Mr. Gordon doesn't understand that Tizen phones are already for sale, has been on sale for 2 years. This is not the case of if, but when, with Tizen phones. Samsung is already going Tizen native for all its product lineup including TVs, fridges, smartwatches, home security, routers, and its phones are the last hold outs that will eventually see a conversion to Tizen around 2020, because this is when IoT takes off big and Tizen is IoT native, at least Samsung kind of IoT standard. Don't forget Samsungs VR ambitions are also independent of Google's and they have no interest in being victim of another computing duopoly. I think a big plus for Android is that it's open source. If Google ever decides to take this advantage from the smartphone OEMs, then they have their own alternatives. Moreover, Android has a seasoned veteran in the form of the Play Store which has been refined and improved over the years. The sheer amount of variety you get on the Play Store is not available on any other platform. So, Android will not go down without without a fight. I have an iPad full size and an iPad mini. And a Samsung phone. Android is by far the superior operating system.